Cornerstone Christian Church is a Protestant church that follows the principles of the Reformation. It is autonomous and locally controlled.The purpose of this church is as revealed in the New Testament: to win people to the faith of Jesus Christ so they may call on Him as their personal Savior, and to commit them actively in the church to help them grow in the grace and knowledge of Christ. This church, acknowledging the deity and absolute final authority of Christ, and the inspiration of the Holy Scriptures, the Bible, is committed to preach this word and to advance the general growth of Christians at home and throughout the world. The Lord’s Supper is observed each Sunday in remembrance of Him. 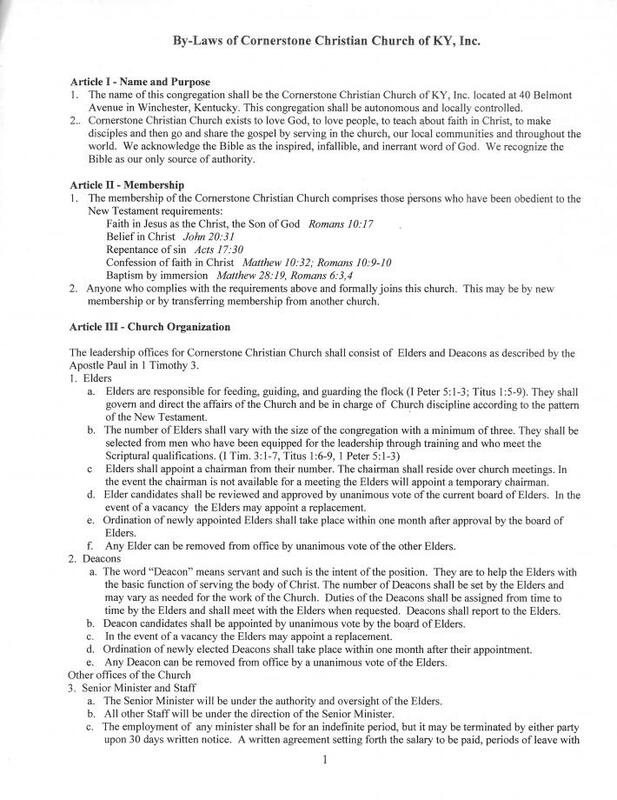 Anyone who complies with the requirements above and formally joins this church. 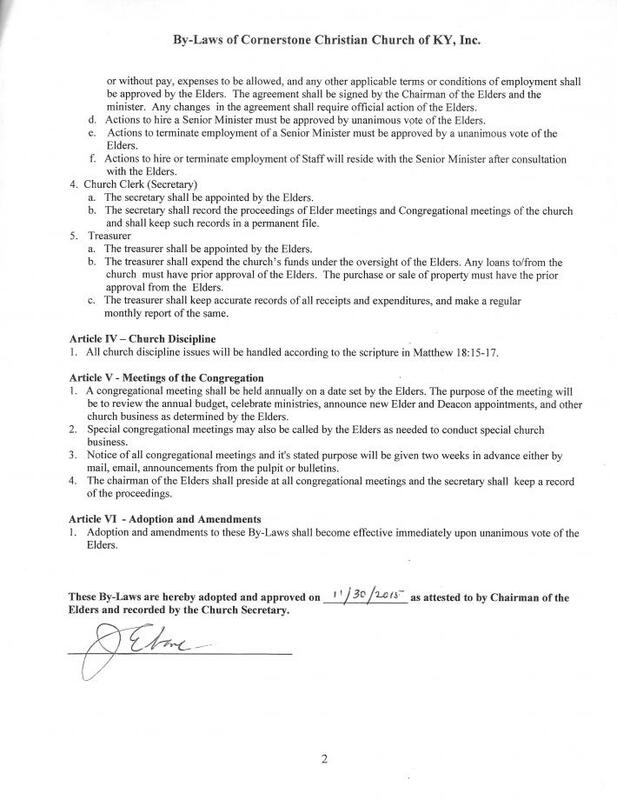 This may be by new membership or by transferring membership from another church. The church officially started March 30, 2014 when the church was named Cornerstone Christian Church and we received the okay from the state of Kentucky to be incorporated. Cornerstone has a simple set of by-laws based up on the governance principles stated above….